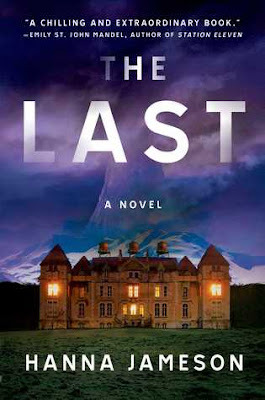 To begin another cozy series is kind of what I don't need but I find resisting them difficult and so, here I am having read the first in a series. Actually, it was the second book that originally caught my eye as it has a Christmas/winter theme and I'm still in the mood for my mystery reads to be snowy. I like to be orderly so I read The Birthday Mystery. 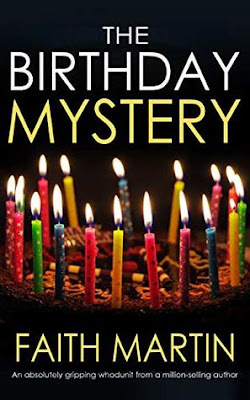 Jenny Starling is a cook and reluctant sleuth, who has come to The Beeches in the village of Rousham Green, to make dinner for twenty-five guests invited to the birthday party of twins, Alicia and Justin Greer. Before too long there's more than one dead person on the premises and the police are trying to suss out if the deaths are connected and who the killer could be. The story takes its time setting the scene and giving a look in on all the characters of the village and manor house but it never feels plodding. I enjoyed Jenny as the main character for the most part. She was a keen observer and it's also related that she has solved a murder case in the past. Additionally, there are enough hints to her own family that my interest was piqued and I think there's an interesting story or two there that may come into play later. The food she made sounded lovely and had me hoping this was one of those cozies with recipes in the back but alas, there were no recipes. Two annoying things that are related constantly are Jenny's size (she's six feet tall and sturdily built & referred to too many times as Junoesque) and that she sighs (so much so I started to suspect some sort of respiratory ailment). I'm hoping these were just first book quirks and will not be recurrences in the next book. The remaining characters were as one expects of cozy mysteries set in chocolate box settings with foibles, oddities and class prejudices and they worked for me. The resolution was well done and the Who was not a surprise for readers of cozies to have worked out earlier on but the Why and How kept one guessing, making this a nifty light read. I do look forward to continuing the series. Summary: Jenny Starling is catering the twenty-first birthday party of a pair of posh twins, Alicia and Justin. Then just after midnight, everyone gathers for a champagne toast. But one of the guests falls down dead.